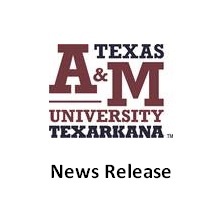 TEXARKANA, Texas – Texas A&M University-Texarkana will be closed Wednesday (Dec 5) in observance of the day of mourning in honor of former President George H.W. Bush. Texas Governor Greg Abbott has proclaimed Wednesday a day of mourning and has closed state offices for the day. Texas A&M System Chancellor John Sharp has authorized the closing of system universities and agencies on December 5 by the governor’s proclamation. The university will operate with essential services only on Wednesday, meaning University Police will maintain normal operations and food service will continue for students who reside on campus. Because Wednesday is the last scheduled day for some classes, students are instructed to check their email, phone and Blackboard accounts for any updates or schedule modifications due to the cancellation of classes this late in the semester. The testing center and library will remain open, but all other university activities for the day are canceled. The university will resume normal operations and class schedules Thursday, December 6.